This English web page is still under construction. The measures and drawing are already available. Over the last few years, I have heard guys using Hexbeam antennas. As this antenna was new to me, I got a few of these stations to rotate their beams so I could see the front-to-back ratio. 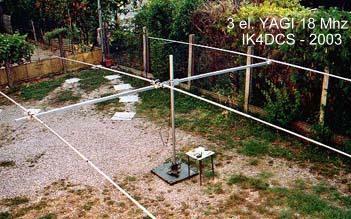 Why a 12/17 meter rotatable dipole? 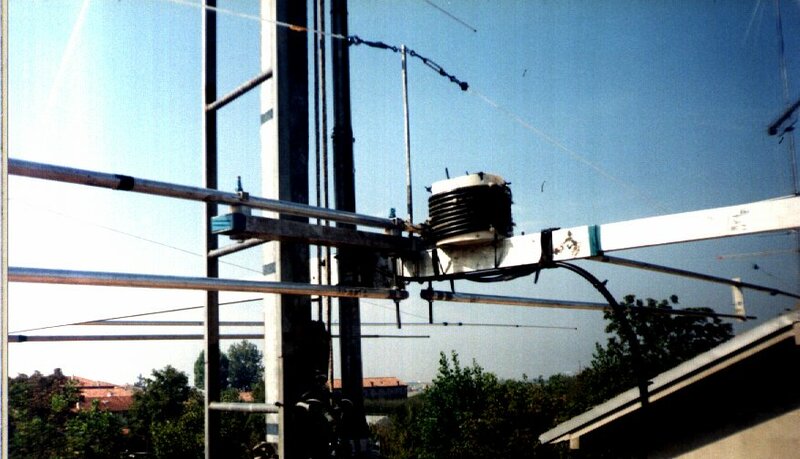 Well, many folks have verticals for the lower bands, and multi-band dipoles or beams for 20-, 15-, and 10 meters. 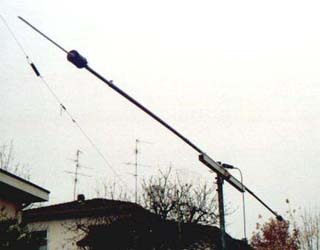 But often you don’t have an antenna for the 17- and 12-meter bands. When BS7H came up in May 2007, I knew I would need a better antenna to have a chance at working them from the East Coast. 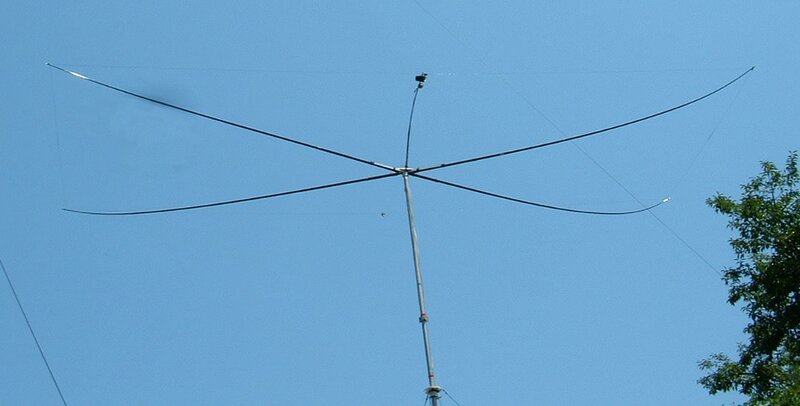 I had a 20m Moxon Rectangle stowed away in the shack that I had built very carefully and never put up. After many years of home-self construction and many pounds of aluminium passing under my hands, my skill has been making progress either concerning type and weight of the material used. After all the experiments on the WARC bands self-made antennas I had just to try with a coax-cable-trapped rotating dipole.